An amazing collaboration with #MsLarsen feat. Ruud Jolie from Within Temptation ! 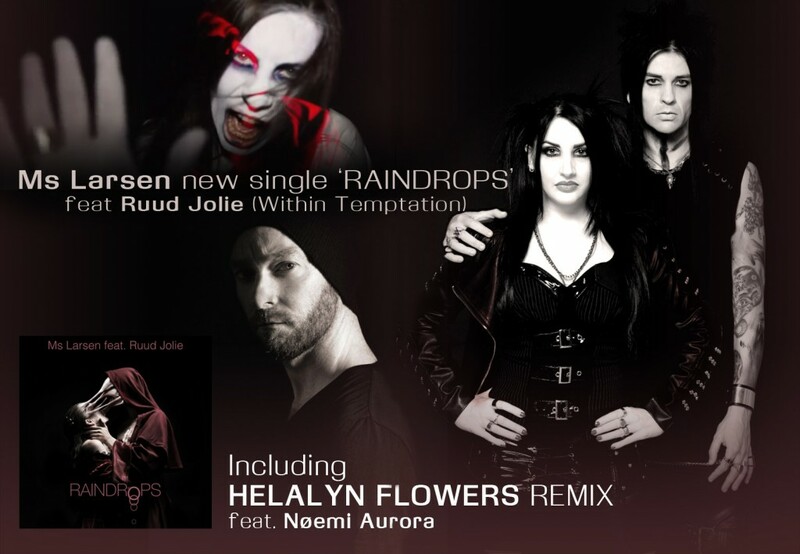 Below direct link to Helalyn Flowers Remix of ‘Raindrops’ also Feat. guest vocals by Noemi Aurora. The single is out now worldwide through main digital distributors, don’t forget to check it out!